Go to http://zoom.us and click on Sign In. You can use the "e-mail" and "password" that you have created, or use your Google (Gmail or Google App) or Facebook account to sign in with. 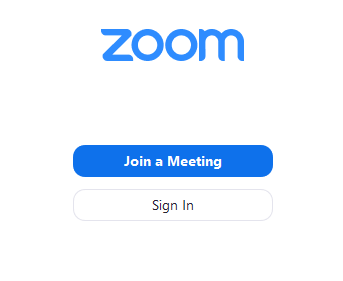 Note: If you do not have a current Zoom account, please click on Sign Up Free to create a new one. Open your Zoom app on your desktop and click Sign In. Log in using the E-mail and password that you have created, or with Google(Gmail), Facebook, or Login with SSO. Click the downward arrow and select Start with video, then click New Meeting to start a instant meeting.